GenNext Innovation Hub's second accelerator batch GenNext Innovation Hub, a joint accelerator programme run by Reliance Industries-sponsored VC firm GenNext Ventures and Microsoft Ventures, has announced its second batch of 10 startups, of which two are from Israel. 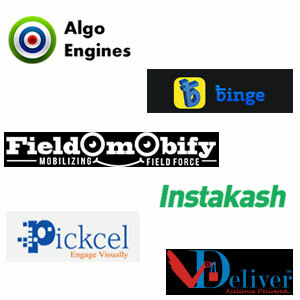 The selected startups for its Fall 2015 batch offers differentiated technology and business process offerings in areas such as instant credit scores and lending, instant bill payment in restaurants, real-time advertising on public screens, operational intelligence for IoT applications, audio-video call based consultation with doctors, etc. "The launch of the Fall batch at the GenNext Innovation Hub startups marks the beginning of a new working partnership between RIL and the startup ecosystem of India and Israel. We hope to see many startups working closely with GenNext in exponentially growing their business," said GenNext chairman and RIL board member Raghunath A Mashelkar. GenNext Innovation Hub is also pursuing a new global partnership programme to collaborate with organisations in the US, Europe and Asia to engage their respective startup ecosystems, it said in a statement. Microsoft Ventures, which runs its own accelerator and incubation programmes, had joined hands with GenNext Ventures for this initiative last year. The partnership was aimed at offering startups in India access to RIL's experience in scaling businesses and planning strategies and Microsoft Ventures' knowledge and IT industry network and strength. At the end of the four-month-long accelerator programme cycle, GenNext will invest in some of these IT startups. "The fact that we have startups from Israel which is the startup nation shows the importance and the growing maturity of India and brings out the thought leadership work done by Microsoft Ventures here in India and globally. Our endeavour is to encourage such cross pollination of startups amongst continents and spruce up universally the Innovation culture," Rajinish Menon, director, Microsoft Ventures, said. While several accelerators are running across the country, this caught the attention as it had the backing of India's largest private sector firm. Reliance Industries-backed GenNext Ventures separately invests in tech companies from India and overseas. It also invests alongside its global partners, which include some of the large VC firms and technology giants based in the US, the UK and Israel. AlgoEngines: Founded in 2012, Algo Engines is an operational intelligence and analytics company for IoT applications. It provides operational intelligence for wind turbines, met masts, solar plants and other IoTs. It aims to transform the huge data generated from IoT devices into actionable insights. Binge: The app is an F&B payments solution that brings the user's offline bill online. Users can pay their restaurant bills with their Binge ID and split bill with friends. CreditSeva: It offers credit profiling of non-mainstream banking customers. It enables users de-code their credit report and know what drives their credit score. Curefy: It offers audio-video call based consultation with doctors. eLoan (from Israel): It's a peer-to-peer lending platform. Fieldomobify: It's a cloud based mobile field force management solution. Its technology is used by service organisations to automate and streamline their day-to-day processes, including activities such as scheduling, dispatching and monitoring. In*Q*Sec (from Israel): It's a secured communications platform that provides peer-to-peer connectivity amongst networks, systems and devices to enable continuity of operations (COOP). Instakash: It's an online lending marketplace for SME loans. It mainly offers 'auto loans' for drivers who want to work with taxi aggregators such as Uber, Ola, Taxiforsure and Meru and 'SME loans' for people who wants to kick-start their business and become sellers on online marketplaces such as Flipkart, Snapdeal, Amazon, etc. Pickcel: It's an ad aggregation platform to create campaigns on the public screens. VDeliver: It's an on-demand delivery service enabling local business in the micro-logistics sector in India. It currently serves in Hyderabad with pickup and delivery services and in Chennai with document deliveries. Here's the 11 startups graduated from GenNext Innovation Hub's first accelerator batch.